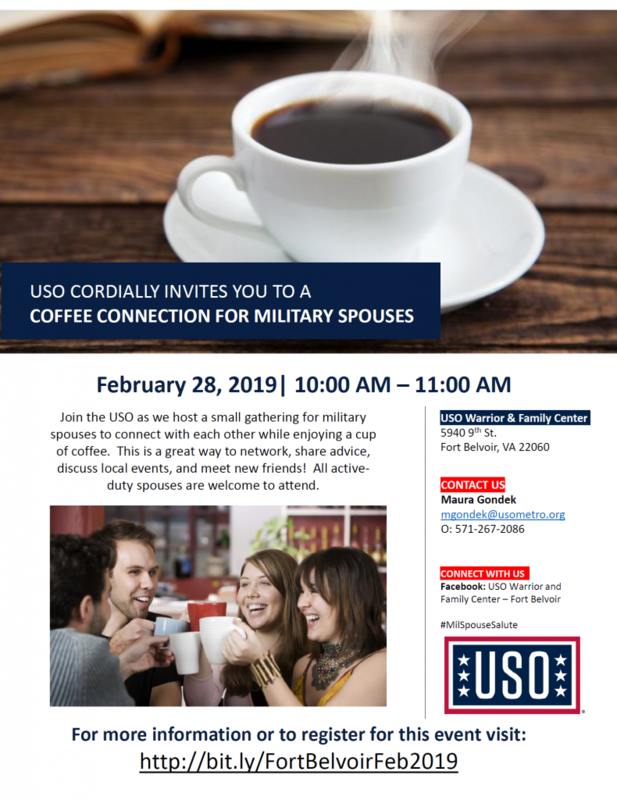 Join the USO as they host a small gathering for military spouses to connect with each other while enjoying a cup of coffee. This is a great way to network, share advice, discuss local events, and meet new friends! All active-duty spouses are welcome to attend.